Possibility to spend the night at Hanoi airport (HAN), if open 24 hours. Services available, places to rest (free resting zones), or look for the list of nearby hotels and vip lounges..
Hanoi airport operates with many flights and connections, so it is frequent to see many passengers waiting for their flight departure even at night. Where to rest: Terminal 1 is not very comfortable for resting. On the other hand, in Terminal 2 you will find plenty of seating, although mostly with armrests. On the third floor there is a rest area with padded couches. Inside Terminal 2 there are also a couple of VIP lounges for passengers with a bigger budget. 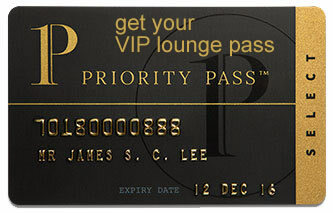 SEE VIP LOUNGES In both terminals there are private sleeping cabins and nearby hotels provide shuttle services. Baggage: 24-hour luggage storage on the second floor of Terminal 2. Eating and drinking: Available options close at night. Other services available around the clock: ATMs, baby changing room, children's play area. On the second and third floors of Terminal 1 and on the second floor of Terminal 2 there are sleeping cabins from VATC SleepPod (Tel +84 983 798 833). You can find accommodations in the vicinity, some of them with shuttle services for their guests. Viet Village Hotel (Tel +84 243 886 6636), Airport View Hotel (Tel +84 168 322 1969), Avi Airport Hotel (Tel +84 243 886 6998), Noi Bai Family Homestay (Tel +84 243 584 3367), Duc Hieu Hotel (Tel +84 988 410 310), Phuong Nam Hotel (Tel +84 973 392 893), Hotel Noibai Airport (Tel +84 243 599 2388), Dragon Airport Hotel (Tel +84 165 888 8486), Van Anh Hotel (Tel +84 962 180 655).